Nabil Fekir has been playing at his best this season. He has already scored 16 times in FL1 and twice in Europa League. The number of assists currently amounts to 6, all of them in FL1. 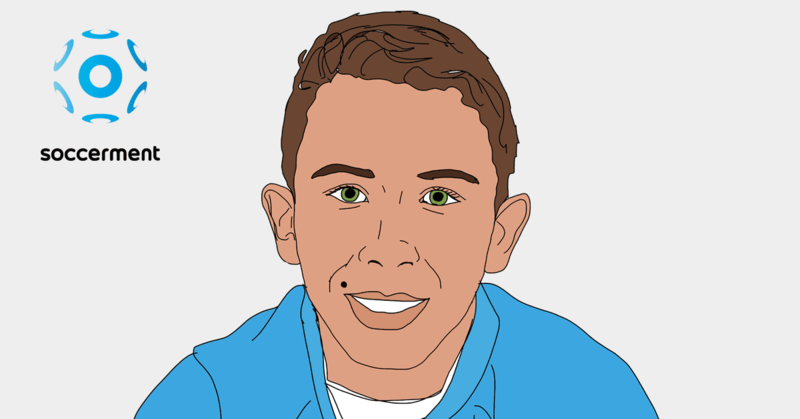 His performance stats show he is somewhat in between being a forward and an attacking midfielder. 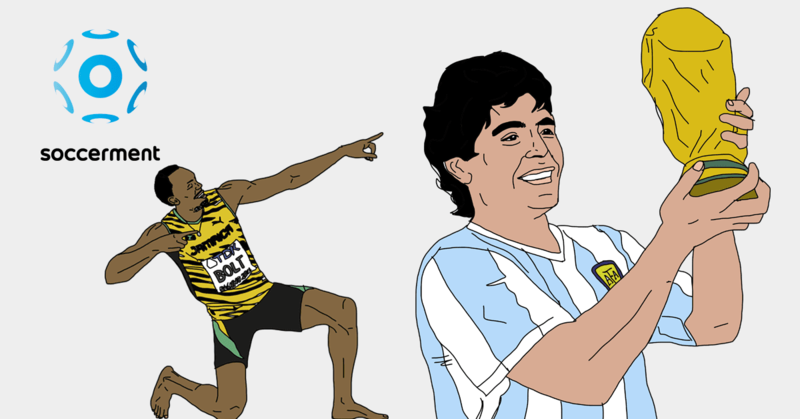 Platini would maybe define him as a “9 and a half”. 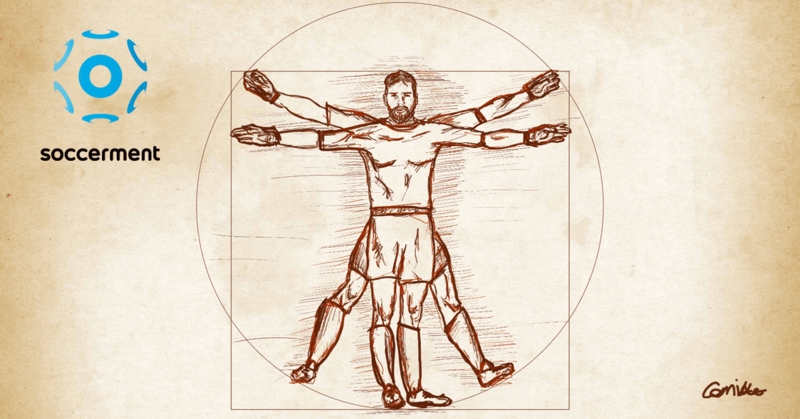 A natural xG-outperformer, he shows a higher-than-average shot accuracy. Born in Lyon in July 1993, Nabil Fekir is a left-footed attacking midfielder, playing (and captaining) for Olympique Lyonnais. 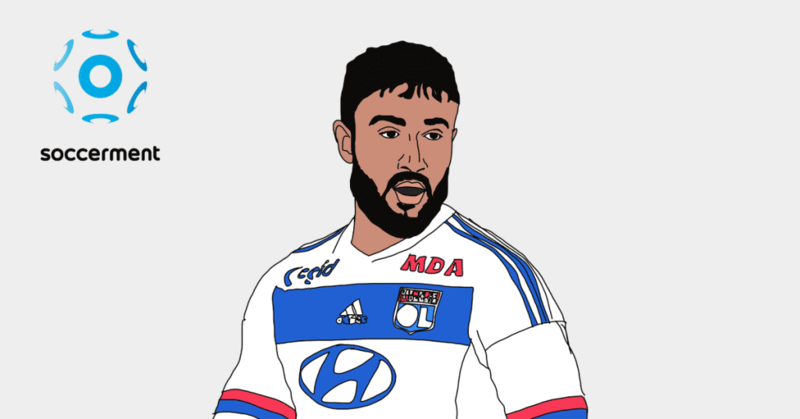 Fekir joined Lyon’s youth academy at the age of 12, but was soon released for not being strong enough. The young Nabil, however, showed a great attitude, stubbornness and a big deal of love for OL: apparently, he turned down an offer from Saint-Etienne, since his dream was to play for Les Gones. He became stronger and stronger, until was signed back by Lyon six years later, in 2010. Not tall (173cm), he now displays quite a muscled figure, weighing 72 kg. He made his Lyon first team debut on 28 August 2013 in a 2–0 Champions League play-off round second leg away loss to Real Sociedad. In FL1, so far he has played 108 matches for Lyon, scoring 43 goals. 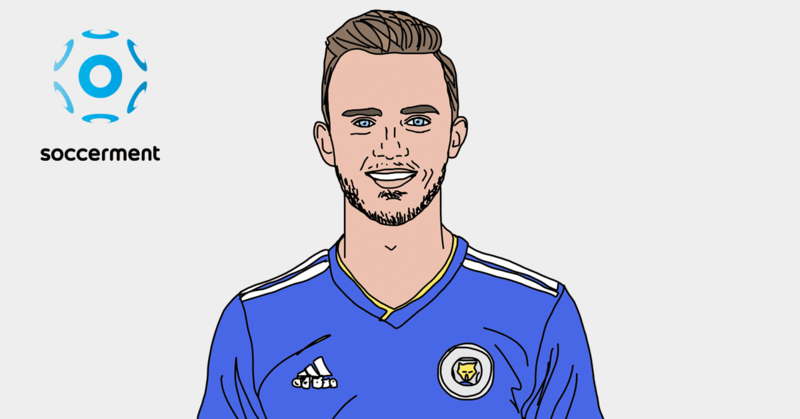 On 4 September 2015, he made his first start for the France senior team in a 1–0 away friendly win over Portugal, during which he ruptured three ligaments in his right knee, putting him out of action for an estimated six months. On 7 October 2016, he made his competitive debut for France as an 83rd-minute substitute for Antoine Griezmann in the 2018 World Cup qualifying 4–1 win over Bulgaria at the Stade de France. As the table above shows, Fekir has scored 0.5 times every 90 minutes for Lyon (FL1 and European Cups), shooting around 3 times per 90 minutes, with a shot accuracy of 46% (1.4 shots on target per 90 minutes) and a goal conversion rate, in open play, of 17%. These are numbers normally associated with a pure forward. 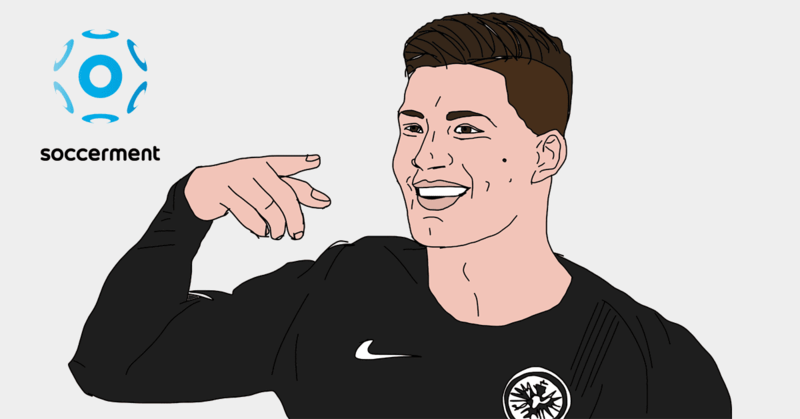 However, the number of assists, the number of successful dribbles and of key passes per match (0.2, 2.9 and 2.1, respectively) are typical of an attacking midfielder. So, is he a 9 or a 10? We take a quote of Michel Platini, who described Roberto Baggio as a “9 and a half”, as he was not a true number 9 striker, due to his creative ability, but he scored more than a number 10 playmaker. We believe that the definition could apply to Nabil Fekir as well. 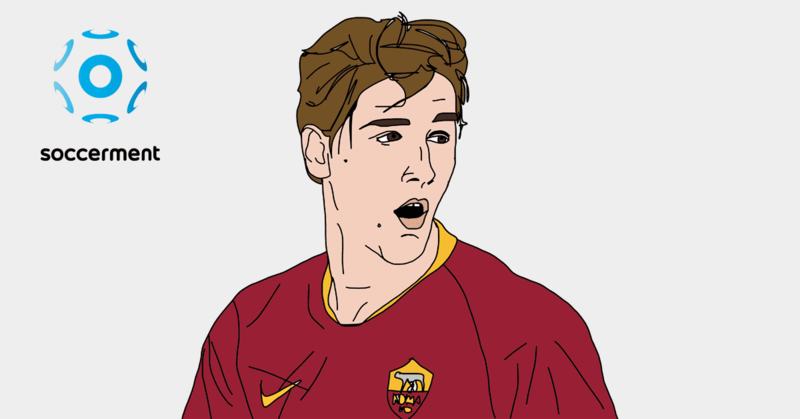 We wrote, for instance, about Fekir’s similarities to Paulo Dybala, in October 2017 (‘Top forwards were born in 1993‘). In the spider chart below, we compare Fekir’s stats this season with the average of more than 100 forwards of the 5 major leagues. We notice three main differences. First of all, the number of dribbles he has been able to complete every 90 minutes: 3.3 vs 2.0, which well distinguish his technical skills. 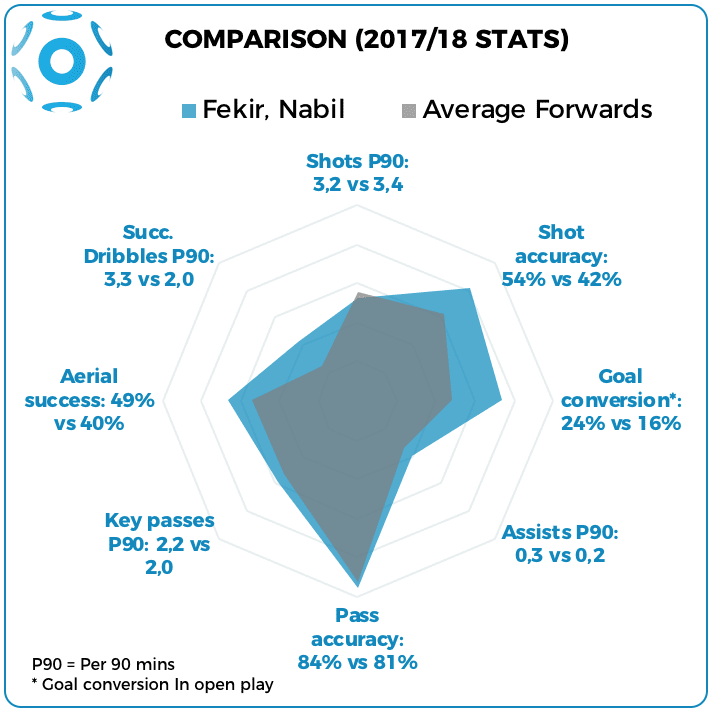 More surprisingly (given his position on the pitch), Fekir displays a higher-than-average shot accuracy (54% vs 42% average) and goal conversion rate (24% vs 16%), as well as an in-line number of shots per 90 minutes (3.2 vs 3.4). How is Fekir’s game evolving? 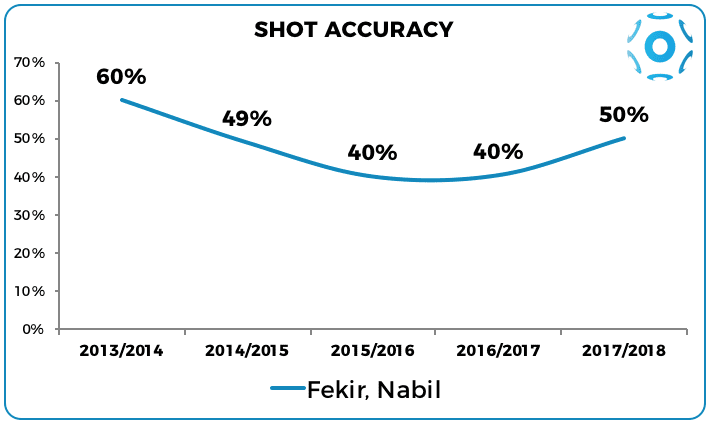 Since his first season in FL1, Fekir has been showing an increasing shooting attitude. 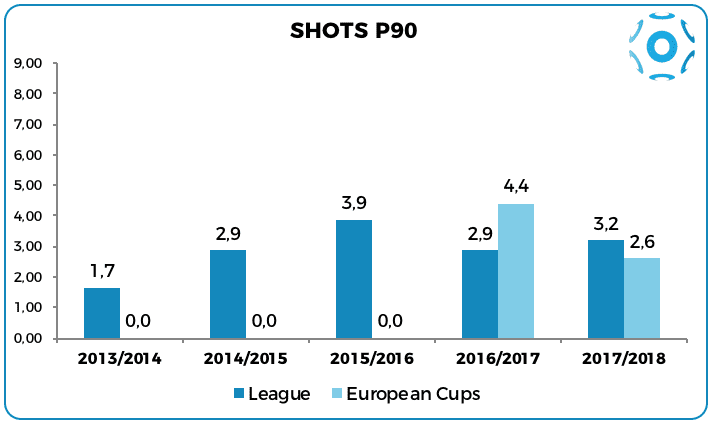 However, as the chart below shows, in the past three years the number of shots per 90 minutes has stabilise at around 3. Fekir’s shot accuracy, i.e. the percentage of the shots on target on total shots, has been showing a U-shape: it dropped to 40% as the player increased the number of shots, but this year increased again to 50%, above the average forward. 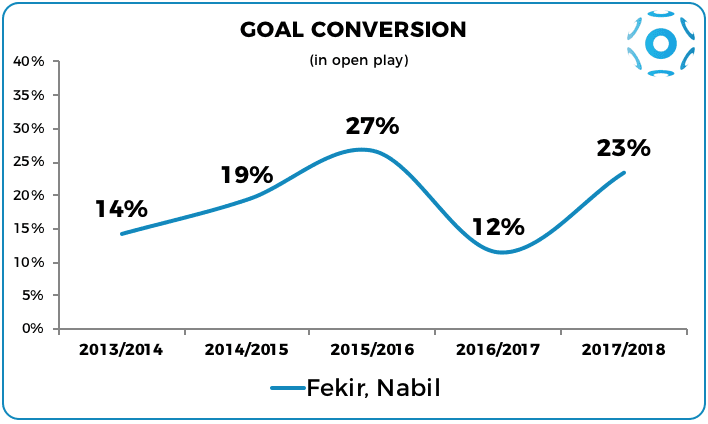 The goal conversion rate in open play is normally a “volatile” number and Fekir shows no difference on this front. This season, it has been 23% so far, almost doubling from the past season. In our post “Goals in Europe, Feb 2018 update“, we anticipated that we would have analysed the outperformance that Nabil Fekir is enjoying vs xG (‘expected goals’). 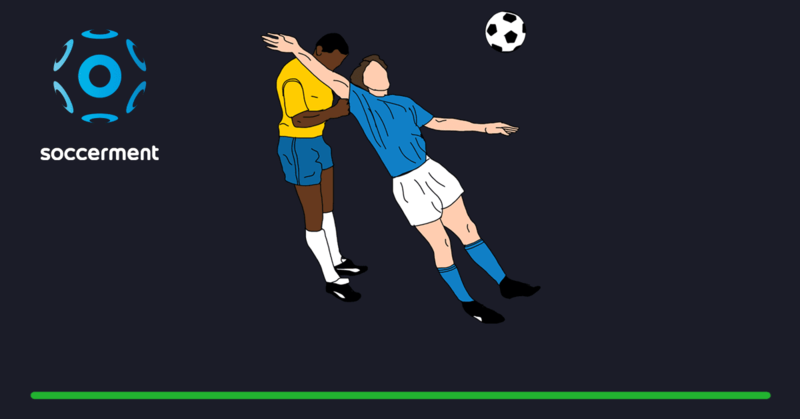 As of 11 Feb 2018, excluding penalties, the expected goals of Fekir were 7.49, according to understat.com, against the 14 (non-penalty) goals he has scored. Basically, he has scored almost twice the amount of goals that the xG model would assume. 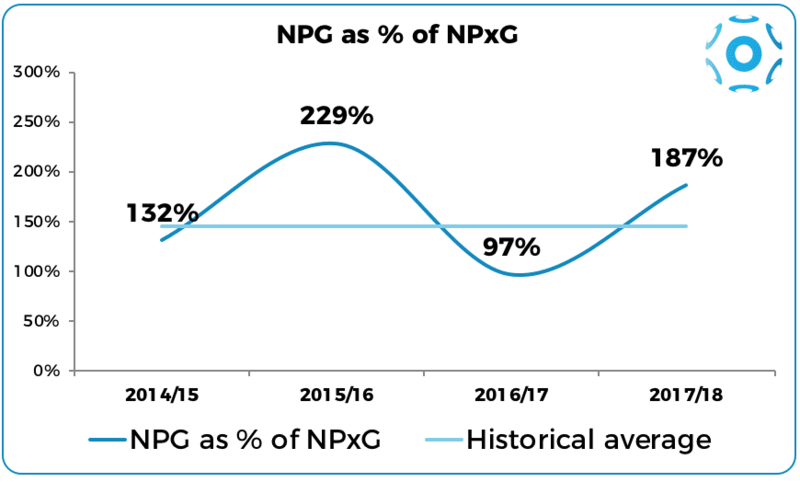 We can see from the chart below that the ratio of non-penalty goals on non-penalty expected goals is way ahead of the other top scorers. The question is whether this outperformance is sustainable or not. The only thing we can do here, is to look at the historical data and see how Nabil Fekir usually performs. 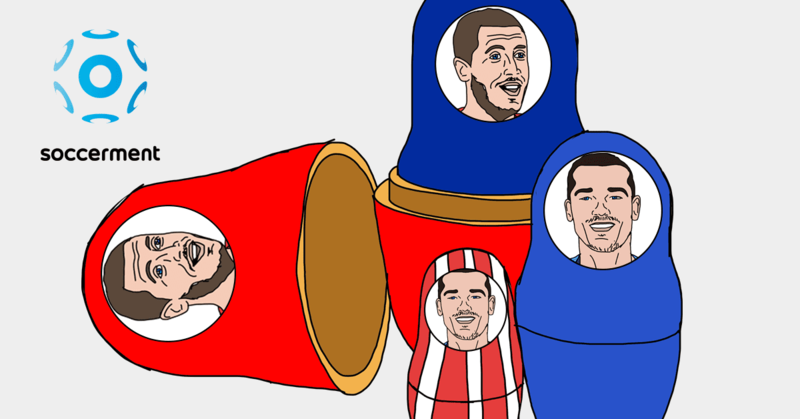 We looked at the past four seasons, starting from 2014/15. 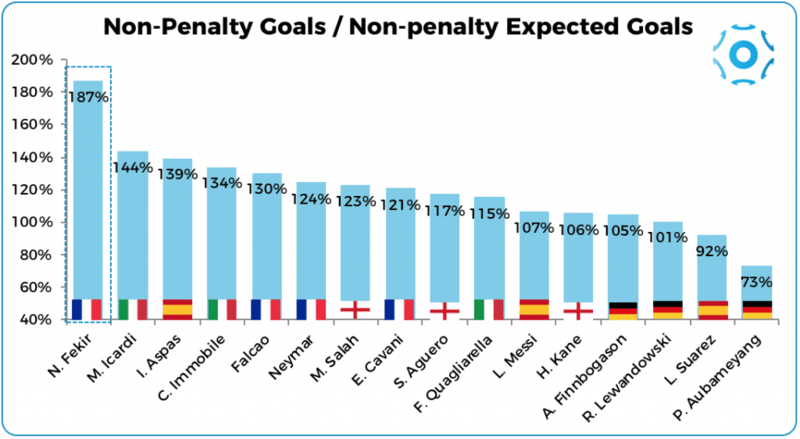 From the chart below, we can see that Fekir’s average percentage of non-penalty goals on non-penalty expected goals stands at 144%. Still a very good outperformance vs xG. However, this probably means that the current number (187%) is difficult to be maintained for the rest of the season. Furthermore, we note that, since our post, published two weeks ago, the percentage has already declined by 5 percentage points. Having said that, only time (and football) will tell! 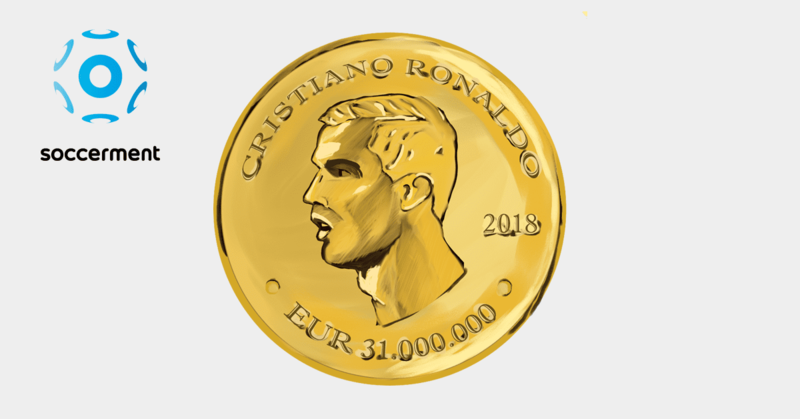 Credit: the data for this post were sourced from WhoScored.com and understats.com.